The number three candidate for Turkish president has solid left-wing ideas and bounds of optimism. But he won’t win, so why is he bothering? The most remarkable part of Selahattin Demirtaş’s candidacy has to be that his Kurdish identity has not been a campaign issue. It was only twenty years ago, remember, that six Kurdish MPs were stripped of their parliamentary immunity and imprisoned on charges of attempting to divide the Turkish nation. 1994 was a time when Kurds were said not to exist and the Kurdish Zaza dialect that Mr Demirtaş speaks was shamefully described as “mountain Turkish”. It means a huge amount that a Kurdish man can credibly run for the highest office in Turkey, and with barely a murmur of controversy. And he isn’t just running for mere symbolic value. Mr Demirtaş has clear, interesting ideas on the kind of country he believes Turkey should become. His manifesto is the most cogent attempt in decades to combine left-wing politics with the Turkish mainstream. It speaks disparagingly of neoliberalism and of the need for a “people’s presidency”, one that exists not as the pinnacle of a sprawling state but as the people’s representative against that apparatus. The time has come, he adds, to scrap influential centralised bodies like National Security Council (MGK), essentially a cabinet meeting for ministers and generals, and the Religious Affairs Council (Diyanet), which publishes weekly sermons for the Sunni majority and does nothing for anyone else. He says – correctly – that so much of the Turkish state is built around sustaining its own existence rather than providing a functional service. On the Kurdish issue, he writes it will take more democracy to resolve “Turkey’s greatest problem”. His pledges are littered with phrases like “negotiation process” and “peoples of Turkey”. These aren’t the words of a Kurdish separatist; this is a man campaigning for greater minority rights within existing borders. Astonishingly, even Turkey’s nationalists believe him. Sinan Oğan MP, whose own Nationalist Movement Party (MHP) has endorsed another candidate, praised Mr Demirtaş for – to use a clumsy compound – “Turkeyfying” his party. Of course, the candidate with the least prospect of winning is the candidate that can be the most imaginative. 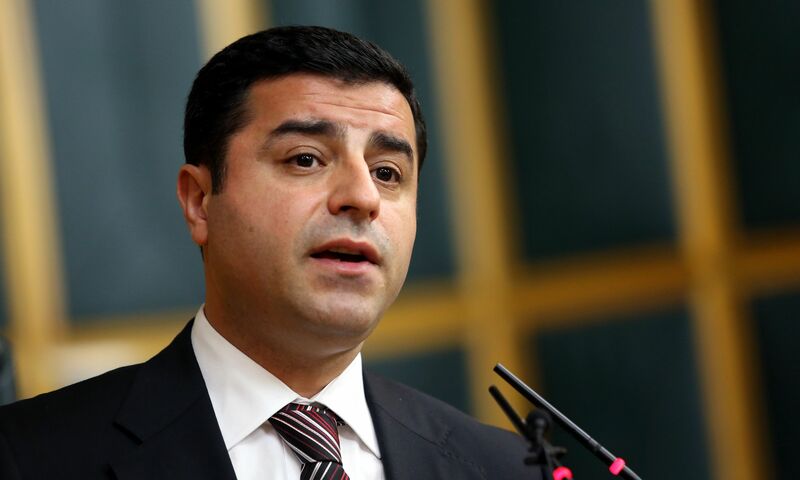 Selahattin Demirtaş won’t be Turkey’s 12th president. He won’t even make it to a run-off against Recep Tayyip Erdogan, the prime minister and frontrunner. Few polls put him over five percent of the overall vote. So why has he bothered to run at all? One reason could be electoral mechanics. Having a third candidate has meant Turkey’s first popular presidential election is not a run-off between Mr Erdogan and a single rival. If the vote goes to a run-off, he will be responsible for delaying the prime minister’s coronation as president for a fortnight. A more substantial reason is that Mr Demirtaş’s People’s Democratic Party (HDP) is testing the electoral waters as a new political force in Turkey. They want to broaden beyond their core Kurdish vote and appeal to minority voters, the Turkish left and voters outside the country’s southeast. 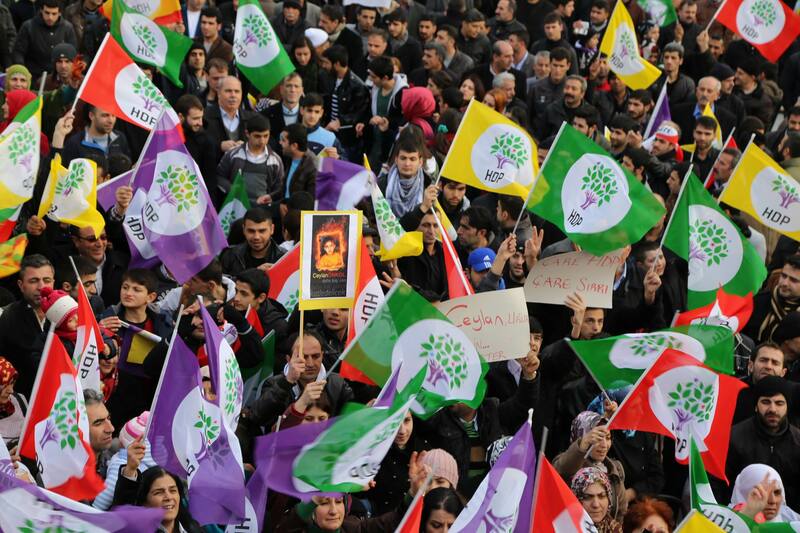 The HDP: a new force for Turkey’s left? This isn’t yet about usurping the Republican People’s Party (CHP), Turkey’s main social democratic outfit, but an attempt to see whether a message from an amiable candidate like Mr Demirtaş will resonate with non-Kurdish voters. The Kurdish vote Mr Demirtaş has in the bag hovers around 6.5%. If he pushes 10 percent, the HDP could argue with some credibility that it is a voice for people disillusioned with the main parties. It would be a political force with a shot at crossing Turkey’s notorious electoral threshold. But Mr Demirtaş’s main non-Kurdish support is on Turkey’s tiny far left: this is the domain of the Greens, the Socialists and the Labour Party. Reaching that threshold will be a challenge.